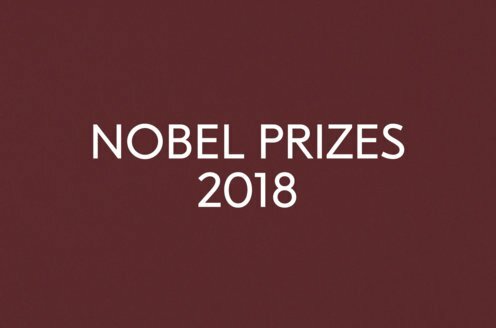 In carrying out the high duties entrusted to it, the Nobel Committee of the Swedish Academy has this year awarded the Nobel Prize in Literature, a signal mark of honour on the international scene, to a writer from a small country, as it is commonly called. In receiving this honour, I should like to make a few remarks about this country and to add a few considerations of a more general character about the storyteller’s work to which you have graciously awarded your Prize. It is a more difficult and more delicate task to tell you about the storyteller’s work which you have honoured with your Prize. In fact, when it comes down to a writer and his work, can we expect him to be able to speak of that work, when in reality his creation is but a part of himself? Some among us would rather consider the authors of works of art either as mute and absent contemporaries or as famous writers of the past, and think that the work of art speaks with a clearer and purer voice if the living voice of the author does not interfere. This attitude is neither uncommon nor particularly new. Even in his day Montesquieu contended that authors are not good judges of their own works. I remember reading with understanding admiration Goethe’s rule: «The artist’s task is to create, not to talk »; and many years later I was moved to find the same thought brilliantly expressed by the greatly mourned Albert Camus. How can a writer arrive at this aim, by what ways, by what means? For some it is by giving free rein to their imagination, for others it is by studying with long and painstaking care the instructions that history and social evolution afford. Some will endeavour to assimilate the substance and meaning of past epochs, others will proceed with the capricious and playful nonchalance of the prolific French novelist who once said, «What is history but a peg to hang my novels on? » In a word, there are a thousand ways and means for the novelist to arrive at his work, but what alone matters and alone is decisive is the work itself. The author of historical novels could put as an epigraph to his works, in order to explain everything to everyone, once and for all, the old saying: «Cogitavi dies antiquos et annos aeternos in mente habui » (I have pondered the days of yore and I have kept in mind the years of eternity). But with or without epigraph, his work, by its very existence, suggests the same idea. Still, these are ultimately nothing but questions of technique, tastes, and methods, a fascinating intellectual pastime concerning a work or having vaguely to do with it. In the end it matters little whether the writer evokes the past, describes the present, or even plunges boldly into the future. The main thing is the spirit which informs his story, the message that his work conveys to mankind; and it is obvious that rules and regulations do not avail here. Each builds his story according to his own inward needs, according to the measure of his inclinations, innate or acquired, according to his conceptions and to the power of his means of expression. Each assumes the moral responsibility for his own story and each must be allowed to tell it freely. But, in conclusion, it is to be hoped that the story told by today’s author to his contemporaries, irrespective of its form and content, should be neither tarnished by hate nor obscured by the noise of homicidal machines, but that it should be born out of love and inspired by the breadth of ideas of a free and serene human mind. For the storyteller and his work serve no purpose unless they serve, in one way or another, man and humanity. That is the essential point. And that is what I have attempted to bring out in these brief reflections inspired by the occasion and which, with your permission, I shall conclude as I began them, with the repeated expression of a profound and sincere gratitude. Prior to the speech, G. Liljestrand, member of the Royal Academy of Sciences, addressed the laureate: Dr. Andric, as a chronicler and a novelist, you have told us about your countrymen, their life and toil, their misfortunes and endurance, in peace as well as in war. You have yourself fought for their freedom and right to live their own life. Just as the bridge on the Drina brought East and West together, so your work has acted as a link, combining the culture of your country with that of other parts of our planet, a task, well worthy of a diplomat, who is also a great author.